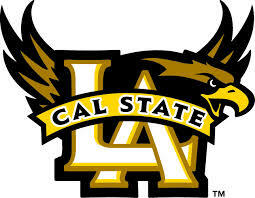 Cal State L.A. has been a dynamic force in the education of students, setting a record of outstanding academic achievement for more than 50 years within the California State University system and beyond. Here, students, taught by nationally and internationally-recognized scholars in their fields, have gone on to become the nation's legislators, technicians, educators, artists, writers, engineers, healthcare providers, leaders in business and industry, entertainers, athletes and scientists. The reputation Cal State L.A. enjoys as an institution of higher learning is creditable largely to the quality of the faculty and their commitment to teaching and scholarship. These men and women have earned their highest degrees from leading universities throughout the world. Their achievements in their academic fields of specialization make them eminently qualified to teach students who possess a variety of academic interests. Veterans Resource Center King Hall D147 5151 State University Drive.